Tip Test your smoke detector every 6 months – a good time is when the clock changes for daylight saving. 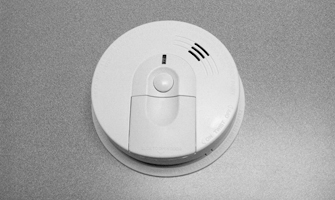 You should also be aware of some changes in the Maryland Laws which affect smoke detectors. Smoke detectors may be the most important small appliances in your home as they can literally save your life. In fact almost two-thirds of home fire deaths are in homes with either no smoke detectors or non-functioning units. That's why you should know that the new Maryland Smoke Detector Law recently came into effect on 1st July 2013 with the purpose to get widespread replacement of older non-functioning or unreliable smoke detectors. Smoke detectors must be replaced at a maximum of 10 years. 10 years from the manufacture date of the unit, not the length of installation in your home. The date of your smoke detector should be printed on the back of the unit. Units where the date is not visible must be changed as a matter of course.